1. Makkah is one of the oldest continually inhabited cities in the world. The Zamzam well alone is believed to be founded in 2400 BC. 2. The city was never the capital of any Islamic empire. But Muslim rulers did regularly contribute to its upkeep. 3. Not all of Makkah falls within the Haram boundary. There are many neighborhoods of the city, like Sharaya, which falls outside the Haram boundary. 4. The city used to be called Bakkah. Nevertheless, some scholars suggest that Bakkah refers only to the Ka’bha and the immediate areas surrounding it. 5. Apart from Bakkah, the Quran refers to the city as Umm Al Qura. 6. Nowadays it is called Makkah Al Mukarramah. 7. While Madinah is known as the city of the Prophet (PBUH), it is Makkah where he spent much of his life. The Prophet spent around 50 years of his life in Makkah. 8. 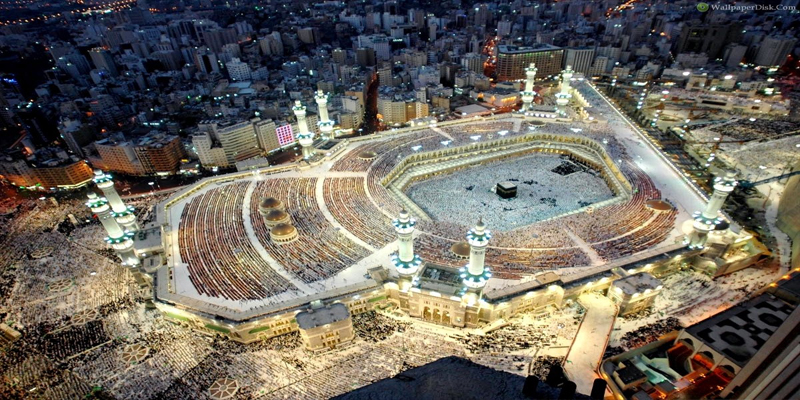 Makkah’s population is estimated to be between 1.5-2 million. This swells to close to 4.5 million during the Hajj season. 9. Saudi Arabia receives the highest number of tourists in the Middle East. This is largely due to the millions of pilgrims that flock the cities of Makkah and Madinah. 10. In popular English usage, “Mecca” refers to any place that draws large numbers of people. 11. The city centers on the Masjid Al Haram area, which is lower than most of the city. This made it prone to flash floods in the past. 12. The Black Stone hasn’t always been in Makkah. In 930 AD, it was stolen by the Qarmatians, who took it with them to Eastern Arabia. 13. British newspaper The Telegraph listed Masjid Al Haram as the most expensive building in the world. Its total cost of construction was at $100 billion. 14. No. 2 on the same list of the most expensive buildings was Abraj Al Bait, which is also in Makkah. Abraj Al Bait holds other world records, including the records for having the tallest clock tower and the largest clock face.